The Best Casinos in Canada! Of course there’s a buzz in playing a few hands of online poker (find our review of the best Canadian sites here) but nothing quite beats the thrill of entering a real, live casino. The intoxicating feeling of betting a buck or two against the croupiers will never get old. From craps to roulette and quintessential blackjack, here are the best bricks-and-mortar casinos you have to visit in Canada. If you’re going all-out, Casino de Montreal is where to do it. This grandiose casino is hallmarked as one of Canada’s best. Home to over 3,000 slot machines and 100 gaming tables, this casino is a mix of high-octane and easygoing. Fun evening out with friends? Trying your luck with the big rollers? All options are possible. 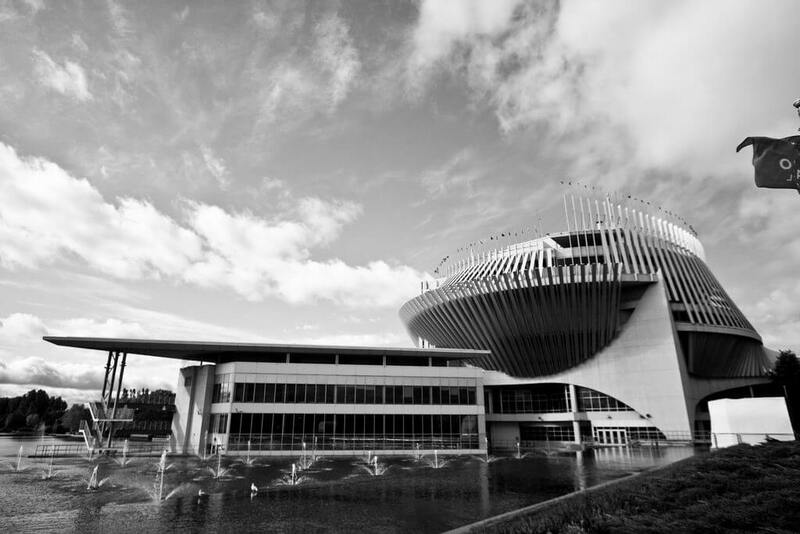 Plus, in true exclusivity, the Casino de Montreal was built on an island. As with any truly authentic casino, there are a range of live events on offer. From comedy acts to sultry burlesque, country music and of course boxing, Casino de Montreal gives a full-on casino experience. And at Casino de Montreal you’re actually rewarded for an unlucky hand. Losers can get their hands on the Bad Beat jackpot — which reaches a progressive sum of $250,000. On the shores of the Fraser River, River Rock Casino certainly has an impressive backdrop. 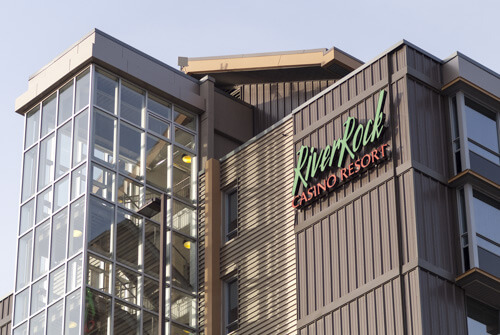 The largest casino in Western Canada, River Rock takes poker seriously. With a dedicated room for poker games (there are 7 types on offer) you can play with the big dogs in the high limit VIP section and, if you win big, enjoy the winners’ circle. River Rock Casino takes pride in giving you a victory meal. Eat like a king at one of the seven on-site restaurants. And watch out for their juicy promotions. Lobster from $15? Yes, please. Note: you’ll need two pieces of ID to enter this joint. 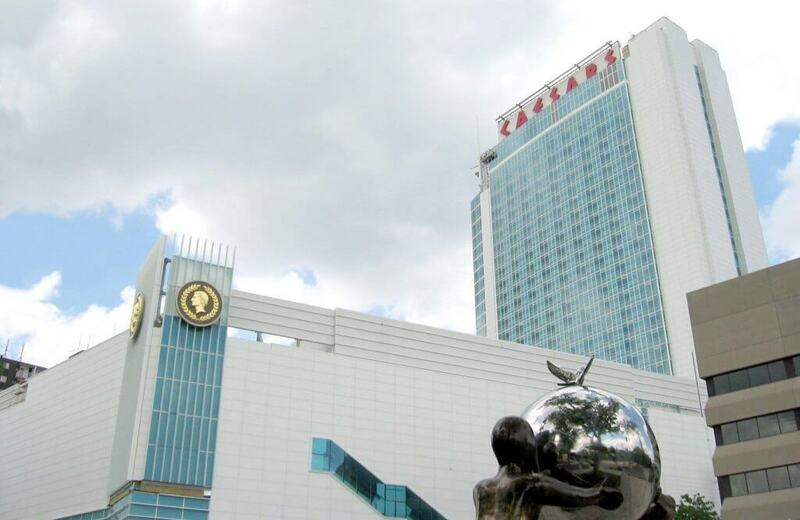 Caesars Windsor brings a dose of that Vegas swag to the area, with the advanced gaming technology and pizzazz we’ve come to love about the group. The Casino’s close proximity to the U.S. means there’s often gamblers crossing the border from Detroit, Michigan to enjoy the casino’s offerings. And we know what they come for. The 27-storey hotel and 10,000 square-foot convention space screams luxe. Find your way around the space, which includes 14 poker tables, and dig deep – Caesars boasts the highest posted limits in Ontario and the Detroit area. Once you’ve won on the tables, you can splash your cash in the casino boutiques, one of the five clubs and bars, or on a spa session. Titan 360™, the largest and rarest slot machine in Canada. There were only 26 made. Play like the pros. WSOP hosts the Deep Stack tournament every second Saturday of the month. Slots come with an added extra at Caesars. Using Total Touch technology, you can order your favorite cocktail right from your machine with just the touch of a button. With over 95,000 ft² of space, you can roam over 1,300 slot machines and 30 table games. 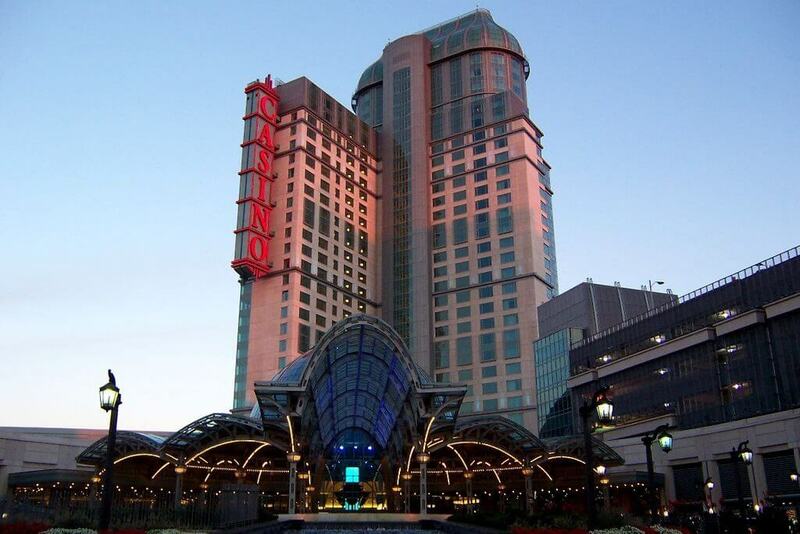 Nine of these are poker-specific and you’ll also find a deluxe Poker Room, so for poker fans asino Niagara doesn’t let the side down. Four kinds of poker; including High Card Flush, Mississippi Stud, Three Card Poker, and Five Card Bonus. The world-famous Niagara Falls is just down the road. We’d say that was special enough! Another casino that takes advantage of its waterside setting, River Cree Resort & Casino combines Canada’s love for hockey with gambling. The progressive jackpot climbs to $230,000 and with over 1,200 slots and 34 tables on the casino floor, you’ll find plenty of ways to play for the prize money. Hockey fans can suit up and play on one of the NHL-size Twin Rinks at River Cree. The home rink of the Edmonton Oilers, you might even catch the team at the craps table after practice. Looking for great online betting options, too? Check out the best options for poker in Canada. How to Open an Account on William Hill? OddsNinja is your go-to guide for betting on sports, poker and casino games in Canada. Our 100% original content gives enthusiasts advice and tips on how to enhance their betting skills online and in the 'real' world. It's time to turn those odds in your favor! If you're worried you're struggling with a gambling addiction, please contact the National Problem Gambling Helpline Network on 1-800-522-4700. This number is availble 24/7. Don't play with the law: check that the sites you register on accept players from your country of residence.